Ozobots are little robots that are designed to be played with and used socially. They also teach coding through a tiered approach. They have a variety of cool technological aspects to them. If I were to explain Ozobot I would compare it to the Sphero BB8 droid but one that has a lot more flexability and a focus on coding / stem learning. They have entered into Schools - Ozobots have started to make their way into Elementary Schools technology departments. This means that your kids can get access to them there. At the very least you should encourage them to do so. I would still recommend purchasing one. When your kids can get access to a tool at home and at school it really helps them to build up a skillset from different people. These different perspectives can help reinforce learning and greatly enhance the underlying skills. ALSO if they are in your school you should Thank your teachers for this. Prices changes: The prices on the Ozobot have come down making it much affordable. This is great for everybody! Another major change in Ozobot is that the online community around them has exploded and you can now find a wide variety of resources including printable maps and programs you can copy. Toylab plans to start covering some of these printable maps and maybe even releasing some of our own so Stay Tuned. Overall, Toylab remains very positive about this cute and dynamic toy! Ozobots are smart, small and social robots that teach the creative side of coding through a unique color command language and block-based programming. Start with paper and markers and get creative with color codes. You may choose green-red-green-red to make Ozobot spin, or a variety of other fun color combinations. Next, graduate to our block-based programming language with OzoBlockly. 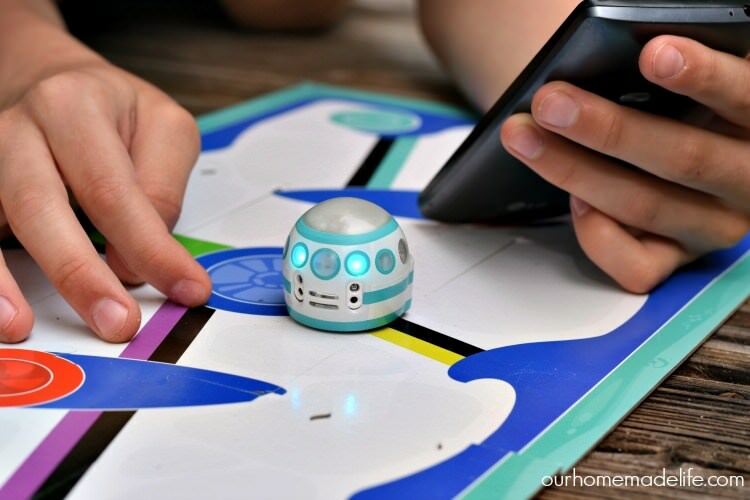 Build a sequence of codes together to make Ozobot act out your commands. Toylab is proud to be an Amazon Affiliate Website which allows us to connect our site directly to the products we love so our readers can find them with a single click. Check out these Ozomobot products below for the Robot lover in your family. Lets go through a few things I really like about them: There is an awful lot to like about these Robots. They are a lot of fun and really flexible. Tiered Learning Approach - Of all the cool things about Ozobot the tiered learning approach is something I am going to highlight. Ozobot has different layers of coding that start out beautifully simple for beginners. The first commands you learn to give Ozobot are simply from using different colors of markers that it follows and takes commands from. The 2nd layer is from its own block laungauge called OzoBlockly. With OzoBlockly users can really get pretty advanced with their coding. The final layer is that the mobile app has its levels of customization. As users of the bot figure out the first layer they can move on to the 2nd layer, then the 3rd. This tiered approach means the product is great for a wide range of skill levels. It also helps take a beginner in Coding master a wide variety of coding skills. Fun Flexibility - This is a toy that can be integrated into lots of games. You could use it as a race car, as board game piece, you can send through a labyrinth. You can also do creative projects like building a city map, or a Maze that really change how you interact with the toy. Social Capabilities Ozogies and Social connections- This is something I have not seen other robots do. The app to Ozobot allows it to send out emotions and also allows you to communicate with friends you have on the app. I really have only played with this feature a little but feel that it opens a door to whole new universe that people are just starting to figure out. Real and Digital World - Ozobot can be interfaced through paper and markers or through digital applications. Scalebility - You can continue to buy Ozobot items from learning guides, to maps, skins and evne more Ozobots. There is also a near infinite amount of stuff you can make yourself to have fun with the Ozobot. Skins - THE AVENGERS - Ths Toylab blog has primarily been a Marvel blog since its inception so its very cool to see Ozobot have this deal with Marvel. There are a group of Ozobots that come with their own Marvel character skin. You can set up your Ozobots to have a little automated play battle with each other. Its pretty cool and opens yet another door for how you can interact and play with this toy. So what can you do with Ozobot? Ive watched a many review videos of Ozobot. My favorite one is this one by VideoGameheat that reviews the Ozobot Evo Bot "Iron Man". This is a specific Ozobot you can purchase. Update: Prices on Ozobot have come down since the posting of this review. You can now find them for as low as $50. The Ozobot starter packs are about $60. That is not too bad so I hestitate to call it out but I will say that if you want to have a race between 3 Ozobots then the cost goes up a lot. A lot of fun can be had with Multiple Ozobots interacting and that is where the price tag gets a little steep. I would love to see a set of 3 Ozobots for 80 bucks but I have not seen it yet. So beware of this as you kid may turn around and ask for a 2nd or 3rd Ozobot right after you buy the first. One way around this is for your friend to buy an Ozobot too so they can play together with it. Ozobot is pretty small and it can be broken like most electronic equipment. I would not recommend this toy for toddlers. You will also want to be aware of little brother and little sisters or that crazy tornado of destruction friend who will all be interested in Ozobot but could also destroy or lose it. 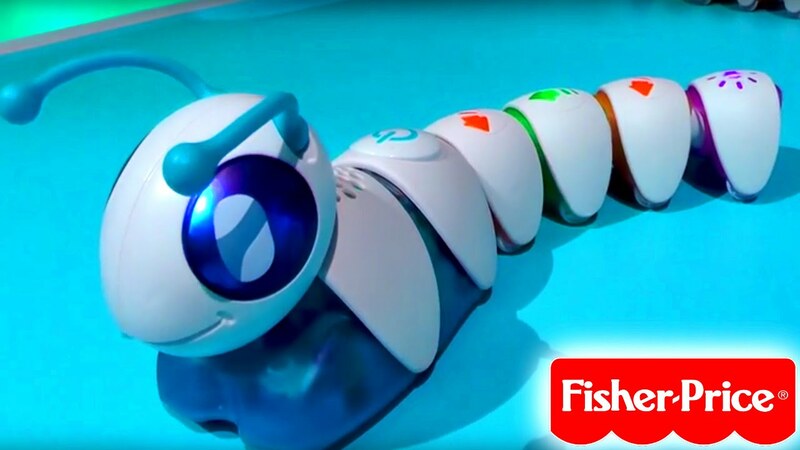 If you have a toddler and want a stem toy I would recommend the Code-A-Pillar see the article link to this toy below. I feel that these issues are pretty petty compared to the all out Awesomeness that this toy delivers. So yes I still highly recommend getting these for your children.